Needless to say, 2016 has been a tough one for social justice activists around the world. With the rise in xenophobia after Brexit, the presidential election of Trump and the looming threat of trade deals such as TTIP and CETA, we’ve been busy. But let’s also make sure we celebrate the fact that we have risen to the challenge. 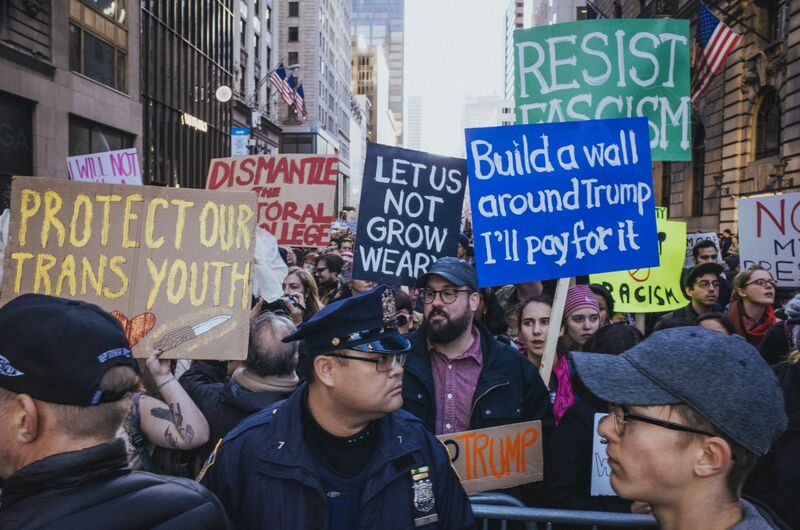 Here are seven protests of 2016 that can inspire more movement building and successful activism in 2017. With thousands of people taking part and millions talking about it on social media, the North Dakota pipeline protests got an international following in 2016. The grassroots movements, spurred by the Native American Standing Rock Sioux Tribe, started in the spring in reaction to the approved construction of the pipeline threatening the region’s clean water and ancient burial grounds. On 4 December, the environmental activists saw a major campaign success as the Army Corps of Engineers denied the permit for the Dakota Access pipeline to drill under the Missouri river. However, many protesters continue to camp on the site not considering the matter solved. 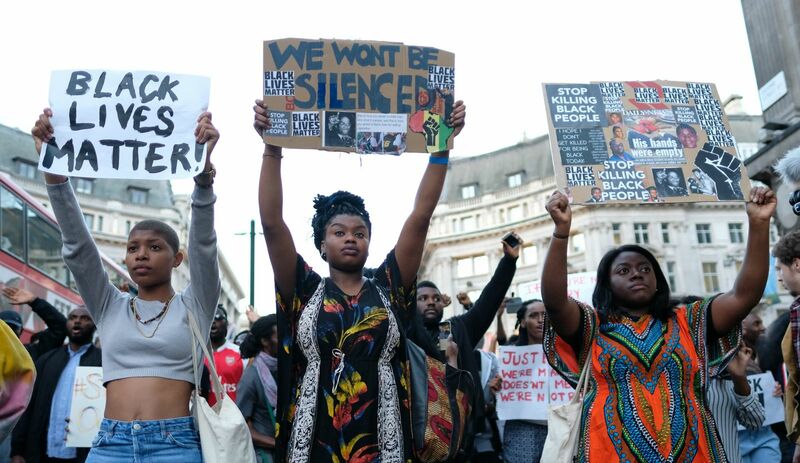 What began in 2012 as a campaign calling for a nationwide response to the acquittal of George Zimmerman, who killed the black teenager Treyvon Martyn, inspired activists in the UK to campaign against police violence and racism in the UK. #BlackLivesMatterUK launched in 2016 with a direct action that brought traffic to a standstill outside Heathrow Airport. This was the beginning of further demonstrations from London to Manchester. Another coordinated action took place across the UK in July, on the fifth anniversary of the fatal shooting of Mark Duggan by police in north London, which led to riots in several cities across England in 2011. An estimated 150 million Indian public sector workers took part in a nationwide strike in September that is widely thought to be the world’s largest ever industrial action. The strike saw activists shut down state banks and power stations and halted public transport. Protesting what they refer to as ‘anti-worker and anti-people’ policies of Narendra Modi’s government, the trade union demands include a 692 rupee (approx. £8) daily minimum wage and a ban on privatisation in India’s railway. This year, UK-based activists continuously campaigned to close down Yarl’s Wood Immigration Removal Centre by surrounding the building and creating a wall of noise. With more than 2,000 people gathering outside the infamous detention centre, the protest on 3 December was the biggest seen to date. Most of these demonstrations have been led by former detainees and asylum seekers, and supported by various human rights and social justice organisations. Women who were once held in Yarl’s Wood have spoken of their experience of inhuman conditions and treatment by immigration officers. Tens of thousands of protesters took to the streets across the US in the wake of Donald Trump’s presidential election victory in November, criticising the sexism, racism and xenophobia they claim that Mr Trump has made mainstream. An estimated 6,000 people demonstrated in Los Angeles, while 10,000 marched from Union Square to Trump Tower in New York. Protests also occurred in Pennsylvania, Oregon and Pennsylvania. A ‘Million Women March on D.C’ is scheduled for 21 January – the day after Trump’s presidential inauguration. 2016 has been the year of continuous protests against the toxic trade deals TTIP (the Transatlantic Trade and Investment Partnership) and CETA (the Comprehensive Economic and Trade Agreement). Across German cities such as Berlin, Frankfurt, Hamburg, and Stuttgart, tens of thousands of people protested against these deals saying that they are a threat to food safety standards, environmental protection and workers’ rights. Thanks to millions of European and American activists, TTIP was stopped earlier this year, but the fight against CETA goes on. In May 2016 an estimated 1,500 protesters managed to shut down the open cast coalmine in Lusita, close to the German border with Poland. Deemed to be one of the most polluting ones in Europe, the controversial coalmine was the target for climate activists across Europe, who set climate camps and organised demonstrations against the mining of fossil fuels. Activists also blocked coal trains and conveyor belts transporting coal to power plants near the mine. Jayde Tynes is the digital communications support assistant for London-based Global Justice Now. This entry was posted on December 27, 2016 by Vox Populi in Environmentalism, Opinion Leaders, Social Justice, War and Peace and tagged Anti-Trump protests, Anti-TTIP/CETA protests in Germany, Black Lives Matter UK, German coal mine shutdown, India labour strike, Jayde Tines, Seven Inspirational Protests of 2016, Standing Rock, Yarl's Wood.